Dare to let the dice decide the color of your next block! 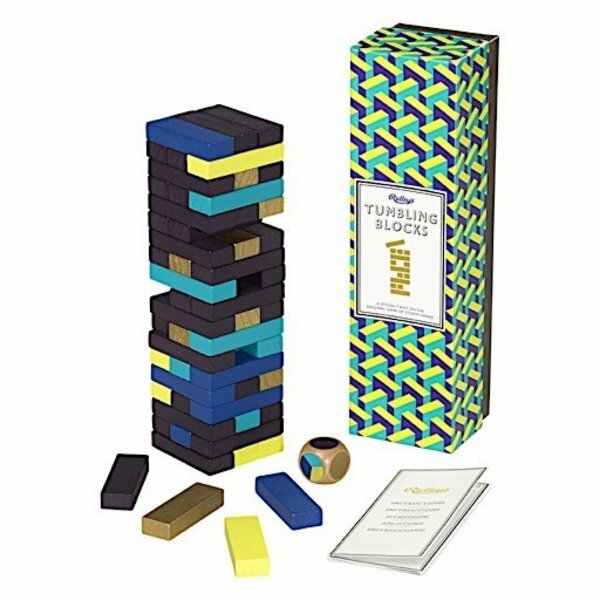 Embrace the challenge of choosing between blank, color and gold blocks in this stylish take on the original tumbling blocks game, brought to you by Ridley’s Games Room. Dimensions: 3.5W x 12.6H x 3.1D inches.